Happy Valentine’s day everyone. Aside from that fancy dinner you have planned out for tonight, you might want to add more love to this day by getting your partner some vape gear for this year. I put together 10 things that would make any vapers Valentine’s day special. Vape Royalty has carved their own niche in the vaping market. 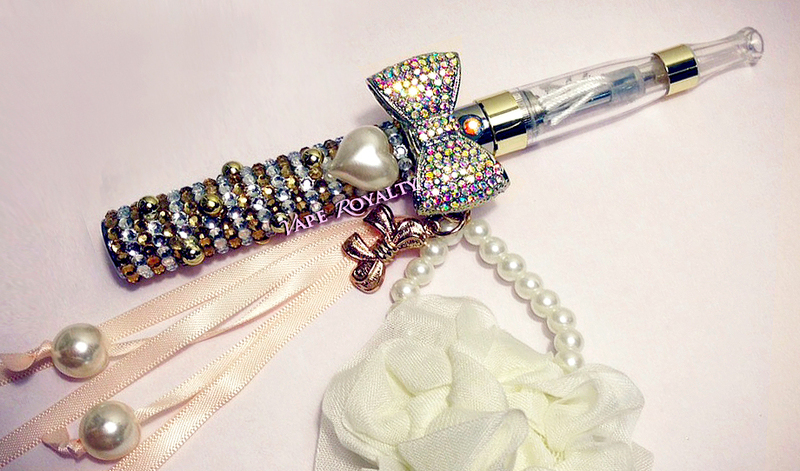 They make these very well designed vape pens and have a huge selection. I did not know these even existed. 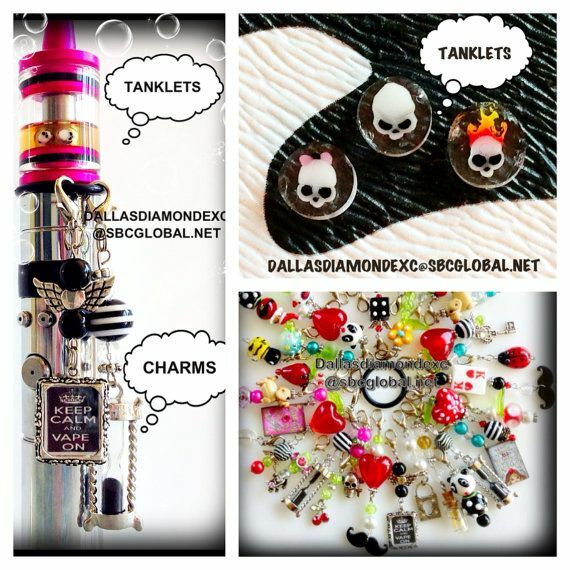 These tank trinkets add more originality to your vape and an interesting conversation piece with other vapers as well. Eleaf has revolutionized vaping by really downsizing their mods, which was a relief for those who were getting worried about the growing size of new, high powered mods. It also brought back stealth vaping and started the smallest vape craze. The iStick comes in 10W, 20W 30W and 50w! There’s something about this e-juice that women love. It is a great tasting all day vape, and I enjoy it myself. When it comes to their favorite e-juice, I’d say about 60%-70% of the women I talked to LOVE Bettie White. These are premium drip tips that will definitely add flare to any mod. They come in different designs and are quality made. A little pricey for a usual drip tip, but they come in a nice pouch and would make a great gift for Valentines. If you plan on buying him something special, here’s a mod that doesn’t come out until February 16, 2015. A very handsome vape that most men would love to have. Nothing screams wide bore tip than the Doge X. What is not to like about this RDA, crazy airflow and a copper center post. If your boyfriend/husband is into cloud chasing, then he would most definitely appreciate this in his collection if he doesn’t have it already. I had a post from before that talked about coil jigs and how they can make coil wrapping much easier, but the Kuro Koilers take the cake when it comes to rebuilding made easy. OMG really has their e-juice on point. The blends and flavors of this company’s line-up is amazing. I’m pretty sure most of you out there will enjoy the flavors they have. My personal favorite is the WTF. Next Next post: Clearomizer, RDA or RTA: Which One Is For Me?